Looking to book Blood, Sweat & Tears for a corporate event, private party, fundraiser or public event worldwide? BookingEntertainment.com makes it easy and trouble free to check availability and pricing for booking Blood, Sweat & Tears or any other act in the business with absolutely no obligations. Booking Entertainment is the leading entertainment booking agency specializing in booking Blood, Sweat & Tears. We will be happy to help you get Blood, Sweat & Tears's booking fee, or the price and availability for any other band, comedian or celebrity you may want for your corporate event, birthday party, wedding, fundraiser or public show. At Booking Entertainment, we put our 23 years in business behind you to help you get the best price for any entertainer, comedian or celebrity for your event. In addition, our team of seasoned industry professionals can handle every aspect of the entertainment portion of your event to make sure the entertainment runs flawlessly. If you are wondering how to book Blood, Sweat & Tears for your event, you can trust our Blood, Sweat & Tears agent to handle it for you. Find out why Fortune 500 companies, high net worth individuals and fundraising organizations come back to Booking Entertainment year after year for their entertainment buying needs. We can literally book any act for you anywhere in the world. Al Kooper formed Blood, Sweat, and Tears in 1967, following his departure from the Blues Project. Alongside Steve Katz, Jim Fielder, and Bobby Colomby, the band released Child is Father to the Man, their album debut, to great success. Shortly after, however, Kooper left the band, along with some other musicians who had been added, but Blood, Sweat, and Tears regrouped with Katz, Colomby, and David Clayton-Thomas as vocalist. 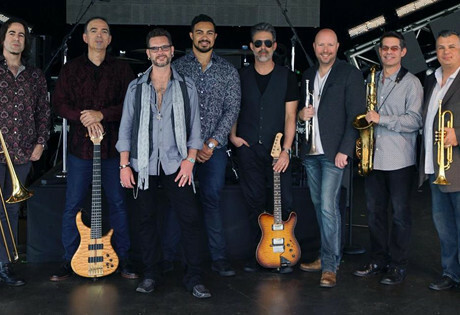 Blood, Sweat, and Tears faced a number of lineup changes but continues to this day with the members Bo Bice, Dillon Kondor, Glenn McClelland, Ric Fierabracci, Jonathan Powell, Brad Mason, Dan Levine, Ken Gioffre, and Dylan Elise. In 2013, Blood, Sweat, and Tears released the album Rare, Rarer & Rarest. It was followed by the compilation The Essential Blood, Sweat & Tears in 2014. For more information on booking Blood, Sweat & Tears, please contact Booking Entertainment. One of our top booking agents will be happy to work on your behalf to get you the best possible price to book any big name entertainer for your upcoming public, private or corporate event worldwide.